ARE YOU READY TO TALK PRESERVATION? We need preserved buildings and landscapes, sustainable communities, walkable towns, and we need them now! With the Maryland General Assembly headed back to session in early January, now is the time to talk about how we can accomplish this and make preservation of our communities a priority. creates fabulous communities and enhances local economies and small businesses. Preservation is also a green movement, as it encourages the recycling of buildings, rather than costly teardowns. In the end, the greenest building is the one already standing. Preservation Maryland, the statewide non-profit preservation organization, is coming to Frederick, Maryland to hold a Town Hall workshop on how to get involved in this important process. • Receive training and an advocacy toolkit to help make you an effective preservation advocate. Contact us at info@fredericklandmarks.org or 301-668-6088. The museum line on weekends is 301-663-3885. 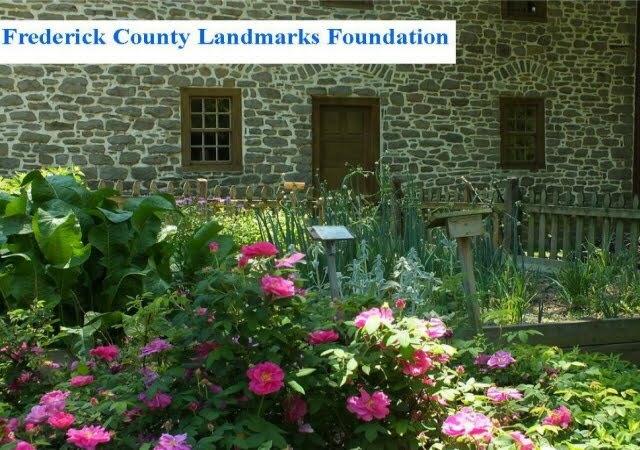 Frederick County Landmarks Foundation (FCLF), is a private non-profit organization. It promotes the preservation of historic sites in Frederick County, Maryland, and strives to increase knowledge and appreciation of them. FCLF owns and operates Schifferstadt Architectural Museum, which is its main landmark and location of the FCLF office. FCLF has additional historic properties: Beatty-Cramer House, and Zion Church and Cemetery. FCLF includes under its umbrella, the Frederick County Covered Bridge Preservation Society and the Frederick Sister Cities Association. FCLF also operates the Landmarks Historical Plaques Program. FCLF is not part of Frederick County government. We sustain ourselves from proceeds by hosting events and through memberships and generous donations from people like you. We welcome event sponsors.